There is a new cooking technique available for frying food in the market nowadays. The machine is called Air Fryer. what that mean? That means, food is fried/cooked by hot air using no oil and almost oil. In today's life, our health is connected with our diet and lifestyle. Everyone is trying to eat healthy food avoiding fried food, sweets and so on to maintain their calories. If we can have our comfort food like deep-fried foods without using much oil or almost no oil, then there is no harm and we can enjoy our favorite deep-fried food in a healthy way. 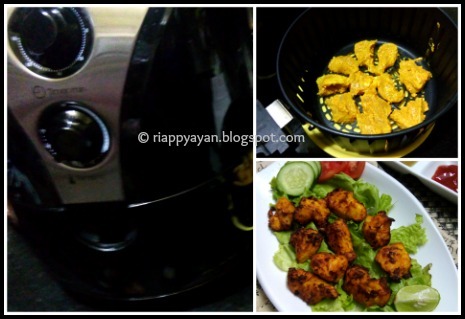 In an air-fryer, the hot air technology works in such a way that food is not only cooked using no oil or 1 tblsp. of oil, but it also expels excess oil from the food. You can also grill or bake food inside an air fryer. So you can only gain from this food machine. So go ahead and buy one immediately. 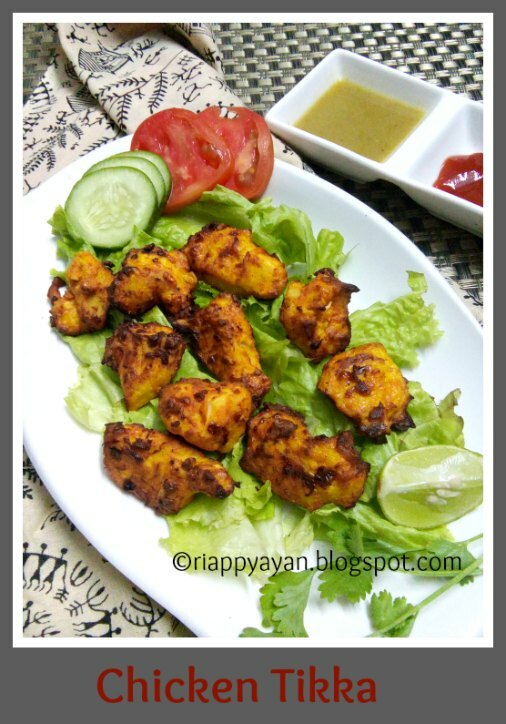 I'll give you an easy recipe today to try out in Air Fryer...Delicious and moist Chicken Tikka. This I have made using only 1 tsp. oil. Cut the chicken breasts in small to medium sized chunks. Take all the ingredients listed under "Marination" in a big bowl. 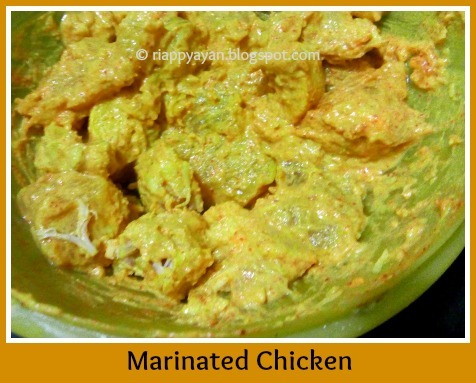 Mix everything well and marinate the chicken pieces with this marination. Keep the bowl refrigerated for at least 1 hour, more the merrier. Prepare your air-fryer by pre-heating it in 180 degreeC for 10 minutesby setting the timer for 10 mins. when ready, place the marinated chicken pieces in the basket, drizzle 1/2 tsp. oil over the chicken pieces, place the basket inside the air-fryer and set the timer for 25 minutes. Check after 10 minutes and turn the chicken pieces to the other side, drizzle rest of the 1/2 tsp. oil over the chicken pieces. Oil doesn't let the chicken pieces get dry into the machine. Then cook the other side for rest of the set time or until the chicken pieces turn slightly brown from all sides. 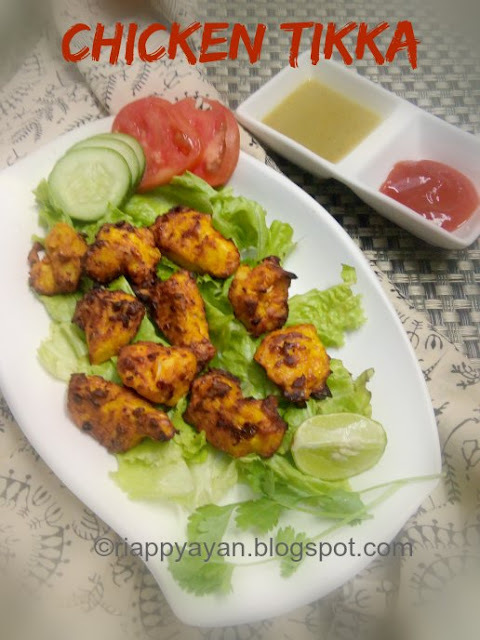 You can also bake Chicken Tikkas in oven and make similarly delicious chicken Tikka...click here for oven baked version HERE. Thanks for share Airfryer Recipe: Chicken Tikka. 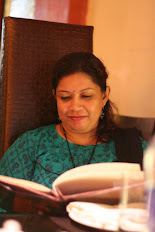 I am searching for any input if bengali mach bhaja can be cooked in the air fryer. So far no luck.